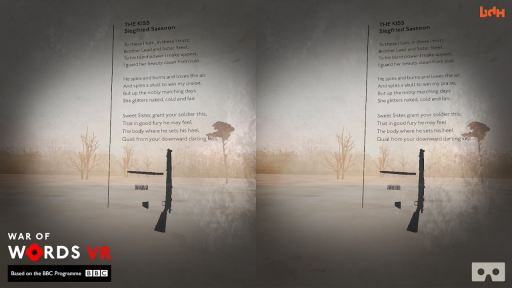 ‘War Of Words: VR’ uses virtual reality to take you back to 1916, and into a mindset captured by Siegfried Sassoon in his controversial poem ‘The Kiss’. 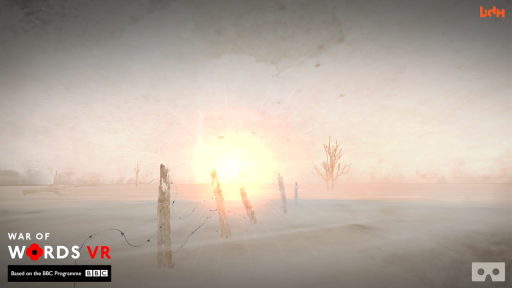 The viewer will be presented with a circular button - by looking at it you will activate the ‘War of Words VR’ experience. After the performance, play again by looking at the 'Play Again' button. The poet describes preparing a rifle for battle. Following the bullet fired from the rifle will lead the viewer to the second part of the poem. 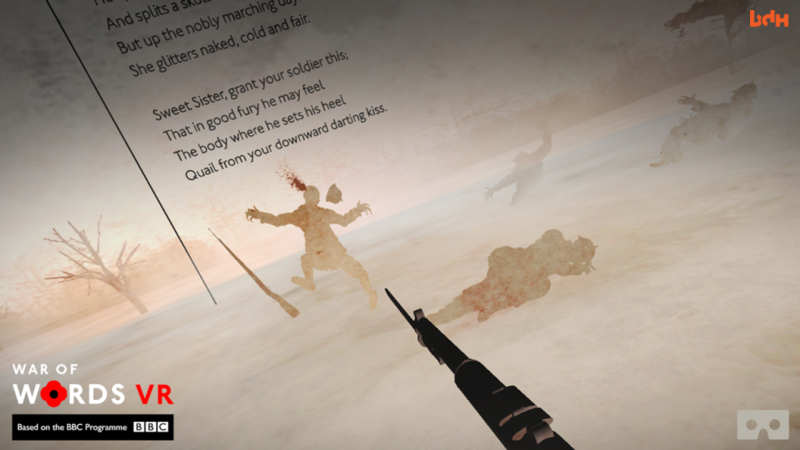 The 'kiss' described by the writer is a metaphor for the act of bayoneting an enemy soldier. 'The Kiss' Copyright © Siegfried Sassoon, by kind permission of the Estate of George Sassoon.